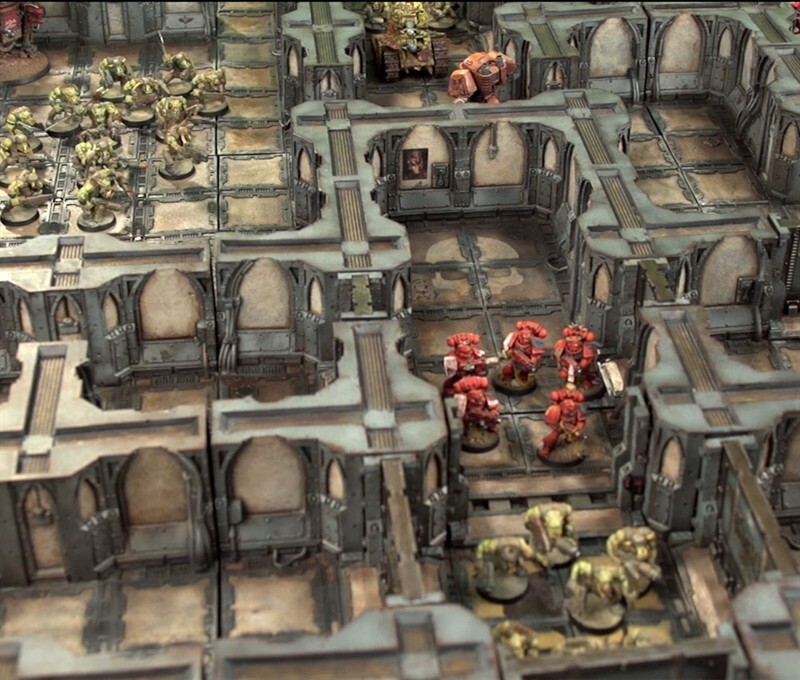 Zone Mortalis could be the best Warhammer game expansion yet, basically by bringing plenty of line-of-sight blocking terrain to the game as well as a number of fun space cruiser boarding action rules into play. Personally, ever since the 3rd War For Armageddon campaign Games Workshop ran some 10 years ago, which included a battle report of Black Templars fighting their way through an Ork infested Space Hulk, this kind of close quarters wargame has been something that I have always craved. As for playing Tau in Zone Mortalis, bringing focussed firepower to bear is more important than ever. But let's not forget that Smart Missile Systems on our Broadside Battlesuits do not require line of sight! So as a Defender, you could sit their with 3 units of Broadsides and just pelt everyone with as many Smart Missiles as possible. Another thing I like about Zone Mortalis is that the game is infantry based, which makes for a much more fun and tactical game. So driving metal boxes towards one another is no longer an option, cos you can't have them! Warhammer 40K becomes so much more interesting at squad level and I really do hope that vehicles take a bit of a beating in the next edition so that the squads can really shine once again. Mind you, Tau Crisis suits are going to be pretty disgusting, being able to Jump around a corner, unload with their Plasma Rifles and Missile Pods, then Jump back behind cover in the Assault phase, as they were always intended to. 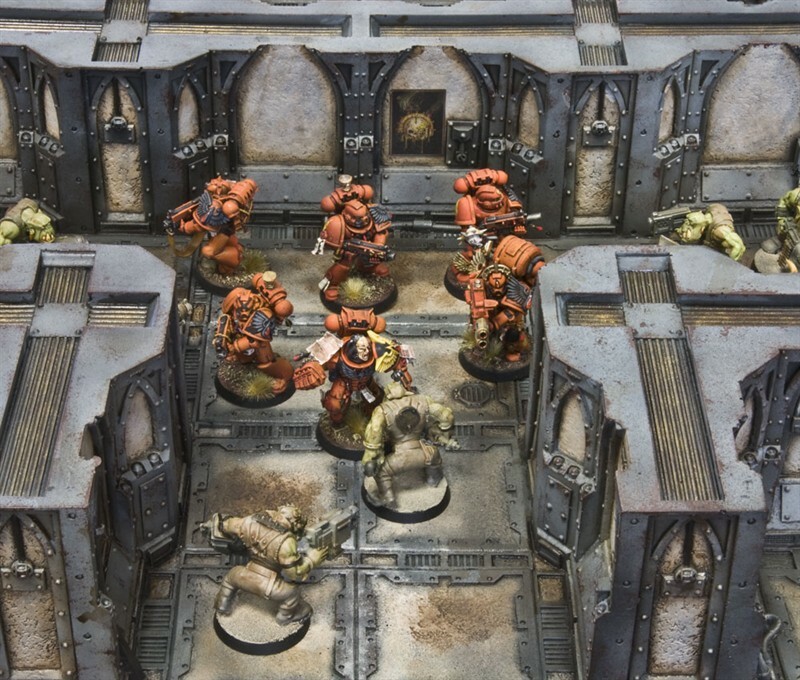 Am I going to buy Zone Mortalis? 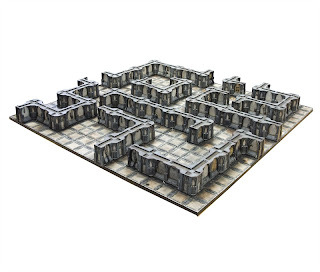 For £98 you get a 4x4 gaming board with lots of gothic walls to assemble paint. But what's to really stop me from making my own terrain for this game? Only time, imagination and my resources. Ork and Tyranids players are going to be throwing together whole gaming boards very easily, because it doesn't matter if theirs are messy. Tau, Eldar, Space Marines and Imperial Guard may have a tought time creating something suitably fitting for the Warhammer 40K universe. But perhaps you could do it with rocks, dense jungle or even a Necrontyr labyrinth? So there's plenty of scope to build your own Zone Mortalis board quite cheaply. 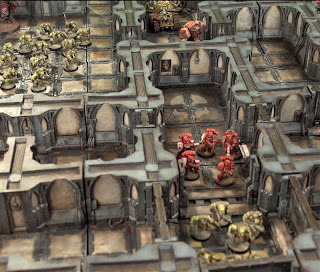 Anyway, you can get the Zone Mortalis Rules here and start playing. Looks fun! This might actually help with learning the nuances of infantry movements. I'll definitely be checking out the rules. That said, it is very nice. Too pricey, though. I can't help thinking though that someone with an MDF laser cutter will release something similar for 25% of the cost. I definitely think chaos terminators will also be the winners in this area and will be very hard to remove. As for the Tau, I think both the XV8 and XV88 will be one of our greatest aid here. The Vespid I feel will be a brilliant unit for this. Nice ap2 weapons and been rather quick with getting to and from the enemy. Kroot won't be as good this time around. I think the only reason to take them is because they are a nice cheap unit and can be taken in large numbers. Fire Warriors and pathfinders maybe more useful with pulse carbine and been able to pin units which will let our other units (XV8 suits for example) can finish them off. Stealth Teams armed only with burst cannons targeting arrays will be brilliant with 18 shots and jump shoot jump. However high points cost will be a draw back. Maybe pathfinder marker lights might help. Gun drones should make a good blocking unit and been able to pin might come in handy. I for one am really looking forward to the official rules. Can't wait. "Well at least we now know what GW have been doing instead of a new codex"
What rubbish. Forgeworld rleeasing an expansion has nothing to do with a codex release, or lack of. Acting surprised about the price is just stupid, plus you can make your own.